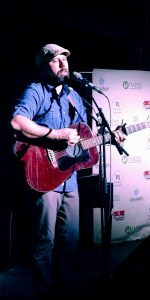 The Ohio Independent Film Festival was founded in 1993 by filmmakers looking for venues for independent work, particularly independent work from filmmakers who are not YET commercially successful. Originally called the Off-Hollywood Flick Fest, the event gained followers by offering audiences truly independent films they wouldn’t ordinarily see: films that have not been picked up for theatrical distribution. The Ohio Independent Film Festival is dedicated to freedom of expression through independent media and is programmed 100% from submissions. In 2016, the Ohio Independent Film Festival debuted the “One Night Only” event in which only the top features of any genre and top short films were selected for screening. This year, the One Night Only event will be held on Saturday, November 3 at The Bop Stop. 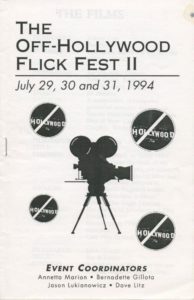 1993 – 1994: Organization designed as alternative film festival under the name Off-Hollywood Flick Fest. First festival held and exhibited only Cleveland based artists. • Introduction of Panel Discussions Program and adopts the name Ohio Independent Film Festival. Instituted formal call for entries process and received films from all over the world. 2002: After an intensive planning process, organization name was formally changed to Independent Pictures. 2014: Bernadette Gillota, Independent Pictures’ sole remaining founder, steps down to pursue personal film projects. Board restructure process involves scaling down the original multi-day Ohio Independent Film Festival event to a one-day event appropriately titled, One Night Only. Therese has been involved with Independent Pictures since 2008 when she started volunteering for the organization as part of a course requirement. Her dedication to the organization quickly became apparent and 2009 she was asked to join the Board; she was voted President shortly thereafter. Therese holds a BFA from Ohio University with a major in Art Therapy and a Certificate of Arts Management from University of Massachusetts, Amherst. Therese has experience in all aspects of planning programs and events for all ages of the community, as well as experience in fundraising, grant writing and non-profit management. David is cofounder and owner of GhostLight Productions, LLC, a full service Event Producer. David’s almost four decades-long career in the production industry has him working primarily with non-profit organizations. 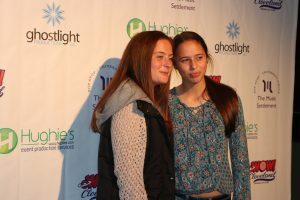 In the span of the eleven year existence of GhostLight Productions, they have helped raise over $10 million dollars for their clients. David is a film enthusiast who is also instrumental in producing events for Independent Pictures, including One Night Only. He previously served on the Board of Directors for the Ashtabula County Animal Protective League. Mike is a Cleveland native and filmmaker. He attended Case Western Reserve University where he studied theatre, political science, and psychology as an undergrad and then continued on to receive his M.B.A. During his time at CWRU, Mike directed a feature length documentary, The Struggle for Existence, a film that explores how the Cleveland Natural History Museum and the Creation Museum approach science. He continued on to direct several other short films, including his most recent, A Tribute to the Fallen, which was shot on location in Negros Oriental, Philippines. Mike is also an instructor of film at Cleveland State University and creator of the Short. Sweet. Film Fest. Andrew is a freelance Cinematographer and Videographer who moonlights in the AV field as a video tech and a stagehand. His latest major work as a Cinematographer, Dark Iris, is headed to the Cannes film market and several short films he shot are playing in film festivals domestically and internationally. He hopes that one day Cleveland will be a major location for film work and loves being part of the independent scene. He also has been a Cavs fan since he was 12, so it’s safe to say he loves the city. Kelley has been an attorney for 21 years practicing entirely in the government sector. Currently, she is the Law Director for the City of Euclid, Ohio. In the past, Kelley has volunteered for many civic organizations including the Cleveland Metroparks Zoo, Domestic Violence and Child Advocacy Center, Euclid Police Athletic League, and was Chairman of the Twilight at the Zoo Committee. She currently sits on the Board of Trustees of Shore Cultural Centre. Kelley’s legal and fundraising background has also assisted the Shore Board, where she developed by-laws, non-disclosure and conflict of interest agreements, volunteer waivers, releases and other legal documents. Kelley has a love of film and is eager to share her legal and fundraising experience with Independent Pictures and is honored to be on their Board.